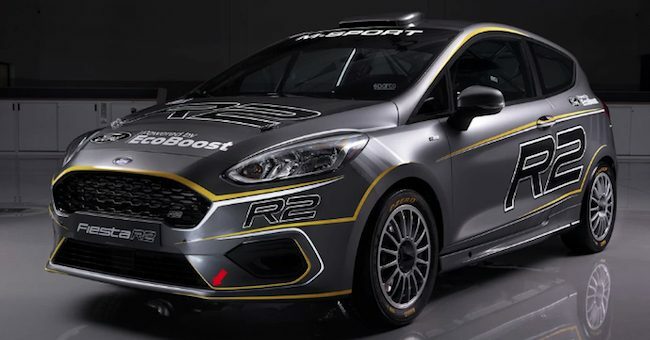 Ford Performance has detailed the new Ford Fiesta R2 rally car, which is based on the Ford Fiesta ST-Line and built in collaboration with the motorsports experts at M Sport. The mad creation was built to adhere to the FIA’s R2 rally class, which is for production-based, front-wheel drive cars such as the Opel Adam, Peugeot 208 and Skoda Fabia. M Sport has managed to pull quite a bit of power from the Fiesta ST Line’s tiny 999cc three-cylinder EcoBoost engine. The three-pot is making 200 hp at 6,500 RPM and a meaty 213 lb-ft from 4,000 RPM. That’s 66 horsepower per cylinder! Not bad. Paired with the engine is a Sadev five-speed sequential gearbox, which is sending power to the front wheels. The car also gets adjustable Reiger dampers, Eibach spings and an optional anti-roll bar. Other notable add-ons for this rally version of the new Ford Fiesta include Alcon competition brake calipers with rear Alcon discs, Ventilated AP Racing front discs and an upgraded Alcon master cylinder. The Fiesta R2 was designed and developed at M Sport Poland’s new state-of-the-art headquarters in Krakow. The company says it “worked in conjunction with the Ford Motor Company who provided significant financial backing,” for the program. 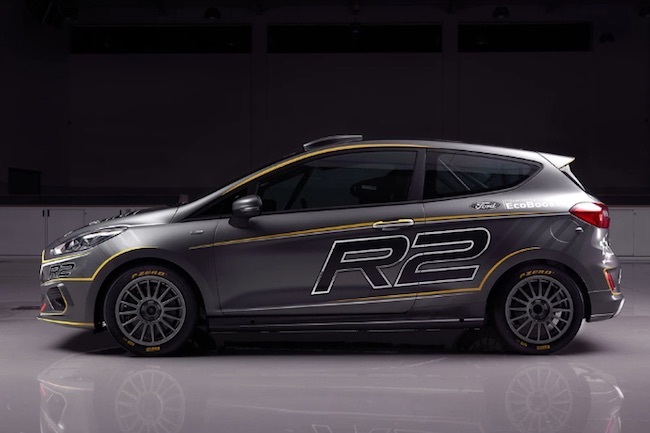 Ford is interested in supporting entry-level rally programs like the Fiesta R2 in order to help find and promote young racing talent. 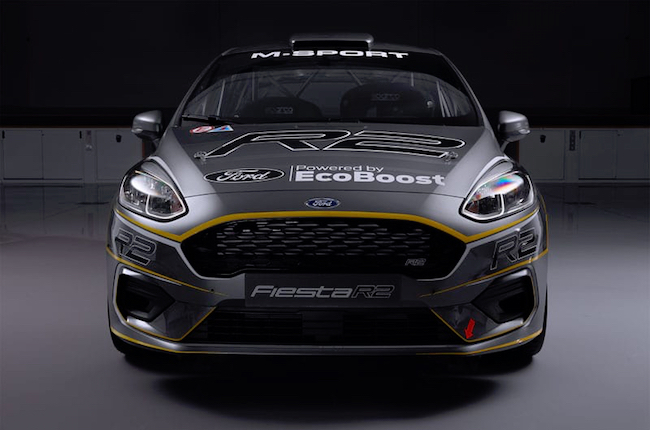 This new Fiesta R2 has been designed with cost in mind in order to ensure it remains a viable option in the FIA’s Junior WRC Championship for the sport’s rising stars. For full specs on the new Ford Fiesta R2 rally car, check out the technical specifications document at this link. Isn’t that wonderful, unfortunately, Ford will only be selling the Mustang, and no other passenger cars. Say, NO, to Ford! Even people at the Ford dealerships are unhappy.